Louis Charles (Lucy) Lynch has spent all his sixty years in upstate Thomaston, New York, married to the same woman, Sarah, for forty of them, their son now a grown man. Like his late, beloved father, Lucy is an optimist, though hes had plenty of reasons not to bechief among them his mother, still indomitably alive. Yet it was her shrewdness, combined with that Lynch optimism, that had propelled them years ago to the right side of the tracks and created an empire of convenience stores about to be passed on to the next generation. Lucy and Sarah are also preparing for a once-in-a-lifetime trip to Italy, where his oldest friend, a renowned painter, has exiled himself far from anything theyd known in childhood. 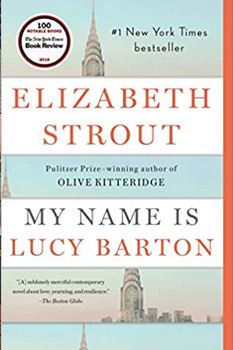 In fact, the exact nature of their friendship is one of the many mysteries Lucy hopes to untangle in the history hes writing of his hometown and family. And with his story interspersed with that of Noonan, the native son whod fled so long ago, the destinies building up around both of them (and Sarah, too) are relentless, constantly surprising, and utterly revealing. Bridge of Sighs is classic Russo, coursing with small-town rhythms and the claims of family, yet it is brilliantly enlarged by an expatriate whose motivations and experiencesoften contrary, sometimes notprove every bit as mesmerizing as they resonate through these richly different lives. Here is a town, as well as a world, defined by magnificent and nearly devastating contradictions. My name is Louis Charles Lynch. I am sixty years old, and for nearly forty of those years Ive been a devoted if not terribly exciting husband to the same lovely woman, as well as a doting father to Owen, our son, who is now himself a grown, married man. He and his wife are childless and likely, alas, to so remain. Earlier in my marriage it appeared as if wed be blessed with a daughter, but a car accident when my wife was in her fourth month caused her to miscarry. That was a long time ago, but Sarah still thinks about the child and so do I.
Bridge of Sighs alternates two narratives: Lucys first-person memoir and the story of Robert Noonan. What are the advantages of this structure? How does it affect the way plot unfolds? Does it influence your impressions of the main characters? How does Lucys description of Thomaston [pp.911] create an immediate sense of time and place? What details did you find particularly evocative? What does Lucys tone, as well as the way he presents various facts about Thomaston and its history, reveal about his perceptiveness and his intelligence? Bridge of Sighs is captivating for its loving attention to the town of Thomaston and the particularities of its downtrodden residents, but even the most innocuous detail maps a world much larger than Thomaston, a generous world that, by the end of the book, comes to seem so familiar, one is loathe to leave it. (Reviewed by Amy Reading). Those familiar with Russo will find his formidable abilities to tease out the nuances of complacency and failure in small-town America intact, though obscured. But someone who's new to Russo might find Bridge of Sighs overlong and overwrought, and will run the risk of turning themselves off from a writer who is capable of much better. Ambitious and eloquent, Bridge of Sighs is not without its flaws. The large cast of characters seems erratic now and then, their behavior forced rather than natural ... Expansive is good, but at 528 pages this book has a weight problem. At times it sprawls like a heavy uncle stuffed at Thanksgiving, falling asleep in front of the TV. [I]n the course of this enormous and enormously moving novel, I was continually seduced by Russo's insight and gentle humor, his ability to discern the ways we love and frustrate each other. In the midst of...small matters, the big contours of Bridge of Sighs emerge. They are richly evocative and beautifully wrought, delivered with deceptive ease. Another of Mr. Russo's hallmarks is that wonderfully unfashionable gift for effortless storytelling on a sweeping, multigenerational scale. Whatever the scale of their lives, Russo's characters - the stars and the walk-ons - are gorgeously drawn. The writing is always in service of illuminating them - with one exception. The black characters speak in a corny-sounding dialect, which can make the reader stop to decode sentences. In this case, the reach for authenticity doesn't work. But everything else works brilliantly ... From its lovely beginning to its exquisite, perfect end, Russo has written a masterpiece. Blame love, indeed. Signature Review by Jeffrey Frank. Bridge of Sighs, on every page, is largehearted, vividly populated and filled with life from America's recent, still vanishing past. From the first page, when narrator Lou C. "Lucy" Lynch begins to speak, readers will be drawn so completely into Russo's world that putting the book down each time feels like a shock. Louis Menand in the New Yorker points out that Bridge of Sighs is structured like Joyce's Ulysses. Lucy Lynch is Leopold Bloom's counterpart, "canny and naïve in equal parts, a plodder and a dreamer." Sarah resembles Molly Bloom, "the clever and worldly wife" who outstrips her husband. Noonan is like Stephen Dedalus, "the angry boy who flies by the nets, going into exile and becoming an artist." Thomaston, then, is Russo's Dublin, as if he is elevating the blighted American small town as a subject worthy of highbrow literature. The profound mother-daughter bond is explored through a mother's hospital visit to her estranged daughter by the Pulitzer Prize-winning author of Olive Kitteridge and The Burgess Boys.